Bret McKenzie won’t be “present” at the Flight Of The Conchords roll call for the time being, as Vulture reports the musician-actor broke his left hand after taking a tumble down some stairs. The co-frontman posted about his injury on the band’s Instagram account, where he also indicated the U.K. and Ireland tour has been postponed until further notice. The announcement was also made over at the FOTC website, though news on the “imminent rescheduling” is still unavailable. There were 12 remaining dates on the current tour, including stops in Dublin and London. 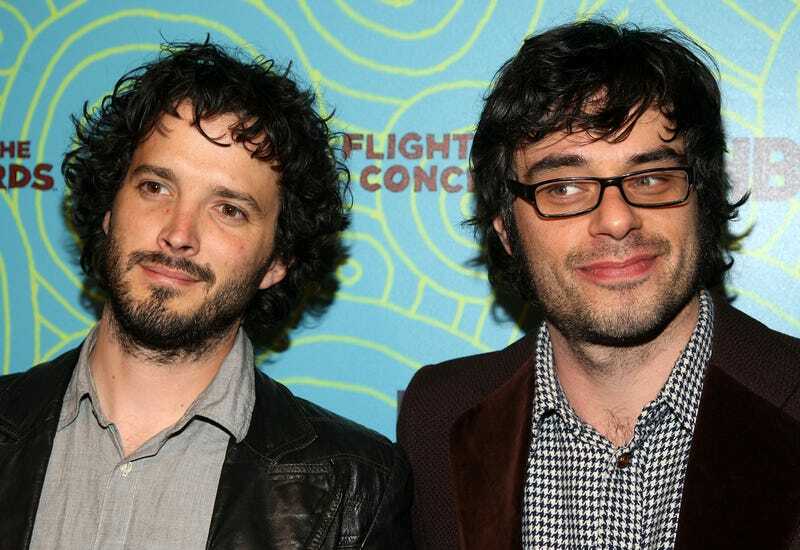 UPDATE, 3/26/2018: Flight of the Conchords has released a rescheduled set of tour dates, which will resume in June after McKenzie’s hand is better. The group will honor tickets from previous, rescheduled tour dates at the new, corresponding shows.